In this week’s lesson we introduce the imperfect tense and consider in what situations this tense is used. We’ll also learn the conjugation of -ar verbs in the imperfect tense. 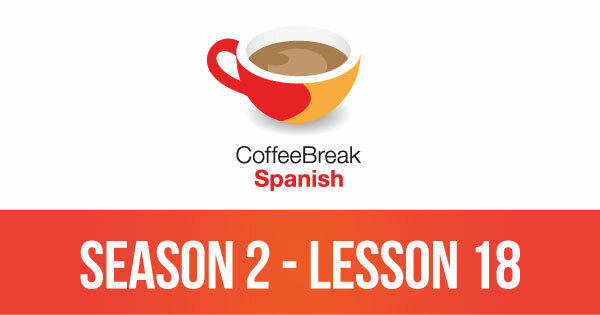 Please note that lesson 18 of Season 2 was originally known as lesson 218 of Coffee Break Spanish. We have renumbered the lessons of each season as lessons 1-40 to make things more simple for our listeners. What? dum-de-dums-de-dums? and stu? I found this to be completely confusing. Is there some way you could have just used the proper terms? The baby talk did not help at all. Oh…I have to disagree!…..the ‘baby talk’ certainly helped me! I thought the ‘dum-de-dum’ and the ‘thtoom’ were excellent examples of determining when to use the imperfect and the preterito……just another example of Mark’s fun, witty and unique teaching style! ¡Ay ay ay! It’s not always easy to please everyone all of the time! @Brendita – we did use the proper terms – we were explaining the use of the imperfect and preterite tenses and I gave many examples of the types of situations in which the imperfect would be used and then ‘interrupted’ by a preterite tense. Sorry you didn’t find my explanation useful. @Ethna – glad you found it useful. With CBS we always try to provide alternative ways to explain grammatical concepts and the patterns of the language and, most importantly, we try to do so in various ways in the one lesson, hence both explaining “dum-de-dum” and “thtoom”, and talking about on-going actions being interrupted by other parts of the narrative. Dear Mark! You are the best teacher in the world! Thank you very much. Mark, I agree with Yelena! You ARE the best teacher ever! I found your creativity to be very helpful toward increasing my understanding of the proper use of the imperfect and preterite tenses. 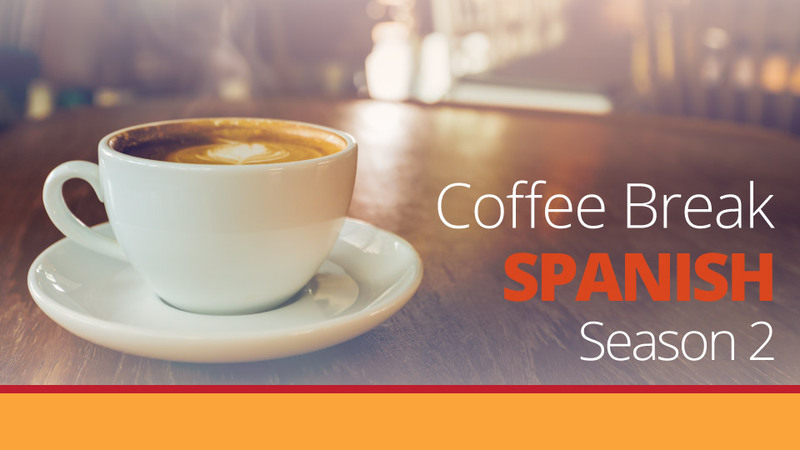 I listen every morning and afternoon during my commute to and from work to either Showtime or Coffee Break Spanish. It’s so much fun and I’m really learning a lot! I’m going to become a legitimate member soon, I promise! Th download link for lesson 58 still points to the old 2008 mp3 file (cbs-58-basic) and not the new 2010 mp3 file (cbs2-58-basic). Agreed – still cannot get the new cbs2 file for lesson 58. Mark? I’m actually going to be doing a week and a half of language school in Ecuador, and I’m sure the teacher will wonder why I’m going dum-de-dum under my breath. One thing, though–since I’m learning Latin American Spanish, I think I will say “stoom” instead of “thtoom”!